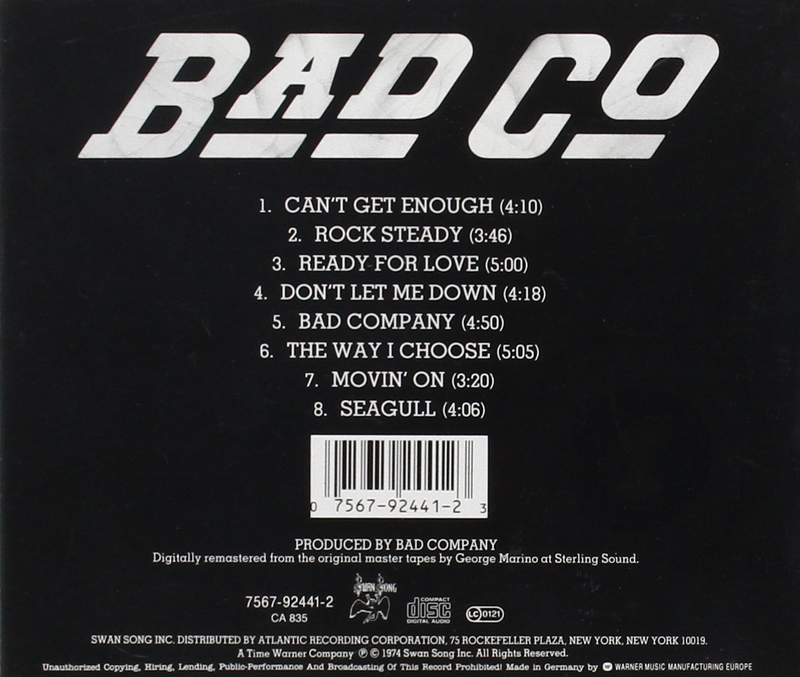 Formed from members of classic, blues rock outfit Free and Mick Ralphs of Mott The Hoople, Bad Company carried on the bass-heavy, bluesy rock tradition of Free, with a little bit of Mott’s eye for a commercial hit. 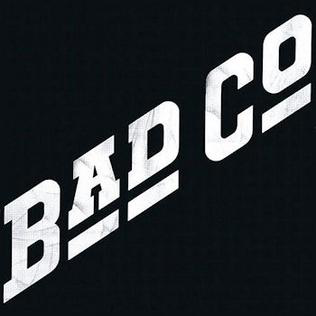 The Free influence comes over loud and clear on slow-burning blues tracks like “The Way I Choose”, “Don’t Let Me Down” and the rocking “Bad Company”. The Mott legacy is obviously there on “Ready For Love” (previously recorded on MTH’s “All The Young Dudes” album) and the hit single “Can’t Get Enough” whose riff owes more than a little bit to Mott’s “One Of The Boys”. There is a nice singalong rocking feel to “Movin’ On” too as well. “Rock Steady” is a powerful, bluesy rock song, very Free-like in its tight-trousered potency. Hackneyed as it now may seem, I still enjoy a bit of this 70s rock. 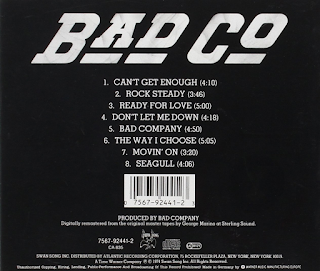 “The Way I Choose” is similar, a slow burning slab of pulsating blues rock. "Seagull" is an enjoyable, powerful, bluesy rock ballad. Saxophone is used on a few tracks to give a slightly different sound to that of Free in places, but there are as many similarities, none more so, of course, than the wonderful voice of singer Paul Rodgers. Anything he lends his vocal chords to would be impressive.